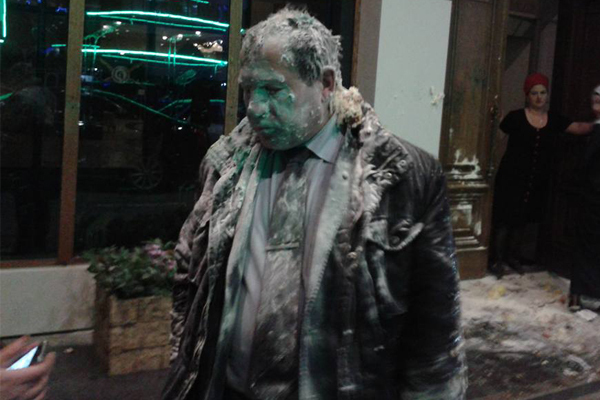 Igor Kalyapin, leader of Joint Mobile Group, attacked with green coloured liquid in Chechnya’s main city Grozny in March 2016. Read more on page 16 in the report. Photo: Anastasiya Moskvychova RFE/RL. This report highlights the situation for human rights defenders in Russia. The adoption of repressive laws and state propaganda disrupt civil society’s efforts to promote and protect human rights. Download the report: Never Give Up Human Rights Defenders Keep Swimming Under The Ice.